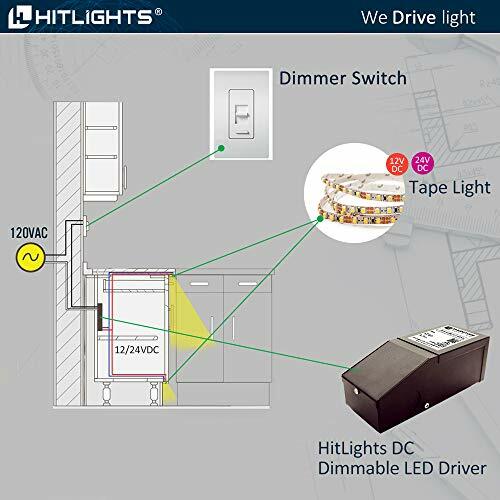 Our Dimmable Drivers offer an compact and elegant control and dimming solution for any LED light strip or tape light projects in your home or business. 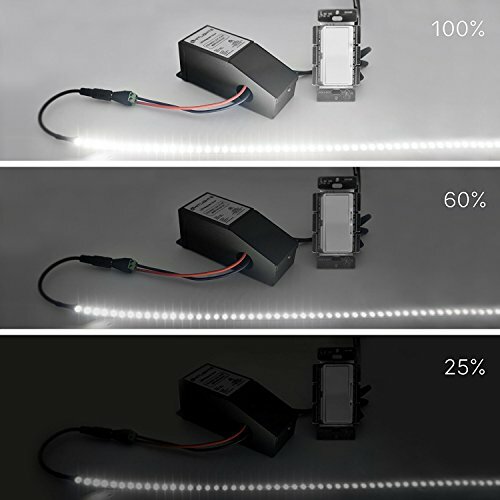 These 40 to 300 Watt Dimmable Drivers allow you to control the brightness of your LED light strips with a dimmer switch mounted in your wall - a more elegant and permanent solution than a dial dimmer or remote unit. 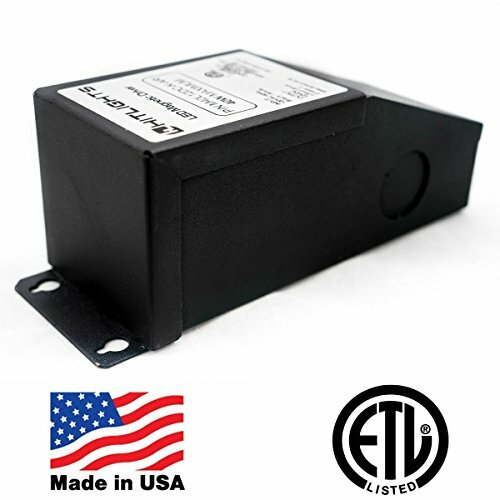 Additionally, the wide range of compatible wall dimmers means that you get to choose the wall dimmer that best suits your home, kitchen, office, or other building. 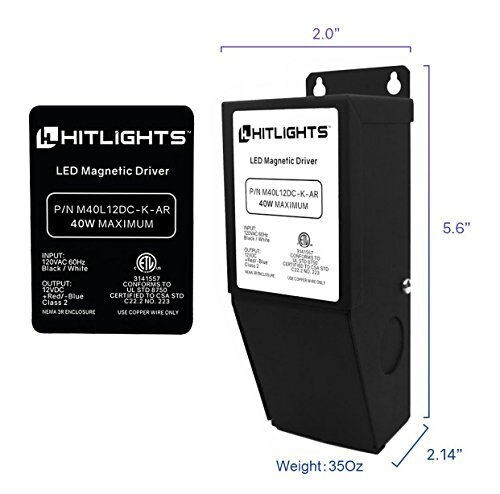 These drivers are manufactured to our exacting technical specifications here in the United States, meaning that we are able to offer an unsurpassed five year warranty on these units. Our range of Dimmable Drivers are the ultimate solution in any of your LED lighting projects and are compatible with most Lutron and Leviton dimmer switches. BARE WIRE CONNECTIONS AND KNOCKOUTS for easy installation to electrical code. See diagram in images for wiring instructions. 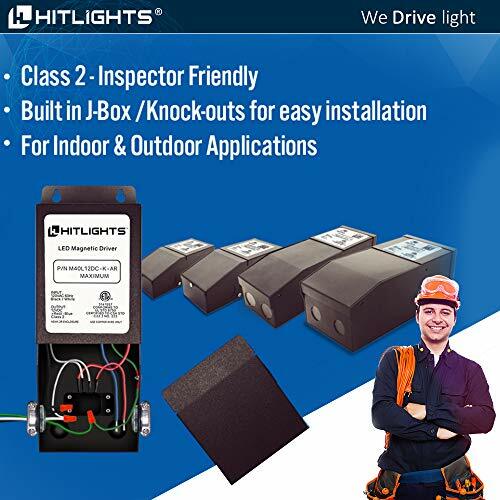 HITLIGHTS QUALITY, ETL-LISTED & MADE IN THE USA and backed by a FIVE year warranty from HitLights for peace of mind. Contact our US-based customer service team at any time for no-hassle troubleshooting and replacement or for any questions about purchasing or installation. 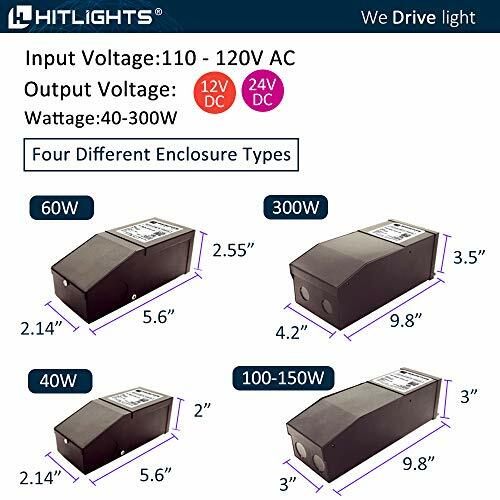 If you have any questions about this product by HitLights, contact us by completing and submitting the form below. If you are looking for a specif part number, please include it with your message.